The winter blues are upon us and many of us long for the warmer weather of spring and summer. Fear not though, the weather is slowly turning warmer across the country and the nicer temperatures will be here before you know it. With the warmer weather brings the long desired vacation time and prime road trip season for many families. Many a memory has been made on family road trips singing songs, seeing interesting landmarks, and packing up the family car for extended travel. Speaking of packing, a great traveling component to invest in for long road trips is the car top carrier. I know what you are thinking though, but what if I do not have roof racks, can I still use a roof top car carrier? Why yes, yes you can. There are many models of car carriers that do not require roof racks and work well with vehicles of all sizes from small compact vehicles to larger vans and SUVs. The following is a list of the various high quality car top carriers that are available for your next road trip. This car top carrier comes from a company known to produce a variety of high quality car top carriers that fit almost every vehicle. It is waterproof and rated for various bad weather conditions including hail and rain. It comes in either black or gray, but the black color is by far the highest seller. This model comes in either an 11 or 15 cubic feet size. The smaller option fits compact cars, SUVs, and vans while the larger size fits vans, SUVs, and sedans. It includes two high strength straps that can handle up to 3,000 pounds. It is priced from $50 to $61. If you prefer to support small businesses, this model is made in the US and from high-quality, environmentally-friendly materials. The RoofBag is easy to install and store when not in use. It compacts down to a nice portable size for garage and car storage. Notably, it works with vehicles with or without roof racks, which makes it a versatile model and useful for multi-car travelers. The RoofBag is all-weather resistant including sun, snow, and wind. The company maintains it will not peel or crack due to harsh weather conditions. A major con is that this model does not include a non-slip protective mat for your vehicle. It must be purchased separate at an additive cost even though most other models include a mat. Additionally, a major complaint of customers was that it did not hold us as claimed. A variety of customers stated that it not only peeled and cracked, but had several rips in it after only one trip. Another stress point seemed to be the buckles and the zippers, which did not hold up to multiple uses for several customers. This is another RoofBag product that also has high marks amongst customers. This model also comes in an 11 and 15 cubic feet size and attaches via two heavy duty all-weather straps. It is 100 percent waterproof due to electrically sealed joints. The approximate dimensions for the smaller version are 40 inches by 36.5 inches by 17 inches and it costs about $72. The approximate dimensions for the larger version are 48 inches by 38 inches by 18 inches and it costs about $83. Since a common complaint amongst users of the other RoofBag model was that it did not hold up to even first time travels, a major pro of this model is that it comes with a two year warranty against defects. If the bag rips, cracks, or peels or any part of it breaks within that timeframe; the company will replace it free of charge or refund your money. This model also has internal stitches to help maintain the waterproof seal and keep your possessions dry throughout long car rides. As with the other RoofBag model, this one also does not include a non-slip pad, which is a ding against it considering it is a model that sits right on top of the car. It must be purchased separately for added cost. This had less negative reviews that the other model, however, it had similar complaints of not being completely waterproof as stated and being difficult to install securely to the top of the vehicle. The Whistler Bag Bundle comes with a waterproof roof top cargo bag that requires no roof racks, a protective non-slip roof mat, and a storage bag. It provides approximately 15 cubic feet worth of storage space and comes with high quality cam-buckle straps that are two feet wide. Overall dimensions are 44 inches by 34 inches by 17 inches. It is composed of black, heavy duty canvas that is made to withstand various weather conditions. It costs about $60. A major pro of this car top carrier is that it is backed by a 100 percent satisfaction guarantee by Whistler. If you are not satisfied with its performance or it becomes damaged within a year, you can return it no questions asked for a full refund. Additionally, the included non-slip roof mat is a nice to have item as it prevents the bag from sliding while the car is in motion as well as protects the roof against scratching. This model is 100% waterproof and holds up against rain, snow, sleet, and even hail. An added bonus is that it comes with a storage bag for stowage when not in use and the entire bundle only weighs about five pounds once collapsed down. Customer reviews noted that it was very easy to install and secure in place. This model has high marks from customers and many stated it held up as described in poor weather conditions. It maintained its shape and stayed in place during long drives with several customers noting it held up to off-road conditions and higher speeds. No negative comments were noted with this model. This particular model comes in three versions/sizes; 15.7 cubic feet, 18 cubic feet, and 18.5 cubic feet of storage. It comes equipped with enough wide straps that make it capable of fitting cars with or without roof racks. As it also comes in a variety of sizes, it is also capable of fitting different vehicles types including small compact cars to large SUVs. It is waterproof and weatherproof against rain, snow, sun, and wind. The G4Free model is made of polyester fabrics and has a PVC coating inside and out. It costs from $36 to $63 depending on the size. 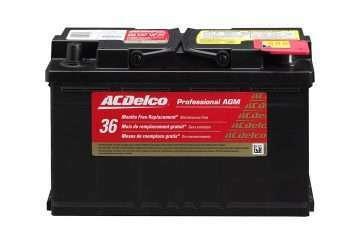 A major pro of this product is its included 3 month warranty. If you are not 100 percent satisfied, you will receive a full refund within that timeframe. Additionally, it has a 24 month product defect warranty and will be replaced by the company should it fail. It has dual stitch seams, which help maintain its waterproof capability. An added feature is that it has a Velcro seal over the zipper to prevent damage along the road and to maintain the waterproof seal. The attachment straps are also capable of handling up to 3,000 pounds. Numerous customers complained of the quality of this product, but most especially that the seams did not hold up to packaging tightly and that the plastic clips holding the straps in place broke. It was similar across the board for the various sizes. The Induxpert Rooftop Cargo Bag has approximately 18.5 cubic feet of storage with dimensions of 55 inches long by 37 inches wide by 16 inches high. It is 100% waterproof and works with or without roof racks. It is easy to attach with two 133 inch long straps that secure the bag tightly to the roof of your vehicle. It can hold up to 100 pounds of luggage. The Induxpert Cargo Bag costs $60. This model has a double-flap along with eight loop hooks that cover the zipper portion of the bag to help protect your possessions against bad weather. It is constructed from polyester material and coated with PVC inside and out to help maintain the waterproof seal. It has double thick straps to ensure it stays securely to your vehicle while the double zipper allows you to secure a lock on the carrier while unattended. It is easy to attach and folds compactly down for later storage in the included carrying bag. In addition, this manufacturer offers a ninety day money back guarantee. If you do not love the bag, you can return it for a refund. This model does not include a non-slip roof mat and it must be purchased separately. Common complaints for this model included strap slippage and the material pulling away at the seams. It did not maintain its waterproof seal as effectively as the product stated and also tore in several places as owners progressed on their trip. This is only one of several models and sizes that Rightline Gear offers. It has a 9 cubic foot capacity and is 36 inches long by 30 inches wide by 14.5 inches tall. It is mainly designed for smaller cars, but can be used on larger vehicles if desired. It can be attached to cars with or without roof racks via four attachment straps and four car clips. It includes a setup guide for easy installation. It costs about $50. The Ace Jr Car Top Carrier is weatherproof and has welded seams with a looped hook close zipper flap. It uses a PVC semi-coated mesh material for added strength that should last for multiple trips. Additionally, this model does fold down to a much smaller size for later storage; however, it does not seem to include a storage bag. This particular model is only weatherproof and not necessarily waterproof, which can cause issues for longer trips or if you know your trip will take you through bad weather. 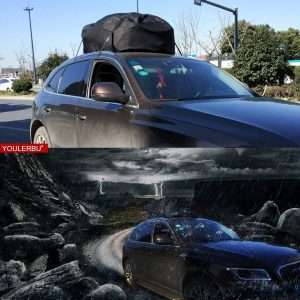 However, buyers stated they drove through bad weather and other than a small wet spot here and there, their luggage stayed mostly dry. It had relatively high marks amongst customer and no serious complaints. Most buyers noted it fit a variety of cars securely and with a hassle-free installation. The Youlerbu Cargo Bag has a 16 cubic foot capacity and is 14.6 inches by 12.2 inches by 6.7 inches. It is intended mostly for smaller cars and comes in black or camouflage. It is made from waterproof material and is made to protect your belongings from wind and sun while you travel cross country. This model is shaped to be more aerodynamic against the wind as you travel at higher speeds. It costs about $60. The Youlerbu Cargo Bag comes with specially designed buckles to secure the carrier to your vehicle even through rough terrain. It includes 138 inch long straps, which hold the bag in place during long car rides. This model also includes a roof mat to prevent slipping during travel. It also has a zipper flap to prevent water from getting into the carrier during bad weather. This model had mixed reviews amongst customers. The most notable complaint was that it did not actually seem to be waterproof. Several customers complained that once they reached their final destination everything was wet on the inside. 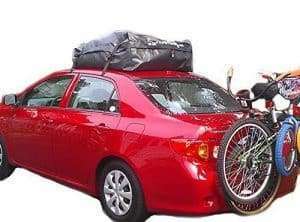 We highly recommended you review our collective list of car top carriers above as they provide a great starting point if you are looking for a road trip capable model. However, this is not a complete list and there are several other well priced and high quality options available for purchase. Take the time to review your travel needs and whether you need a small or large carrier that is waterproof and/or weatherproof. As always, we recommend reading customer reviews before purchasing any models as they always seem to point out the positives and negatives well enough for you to make an informed decision.